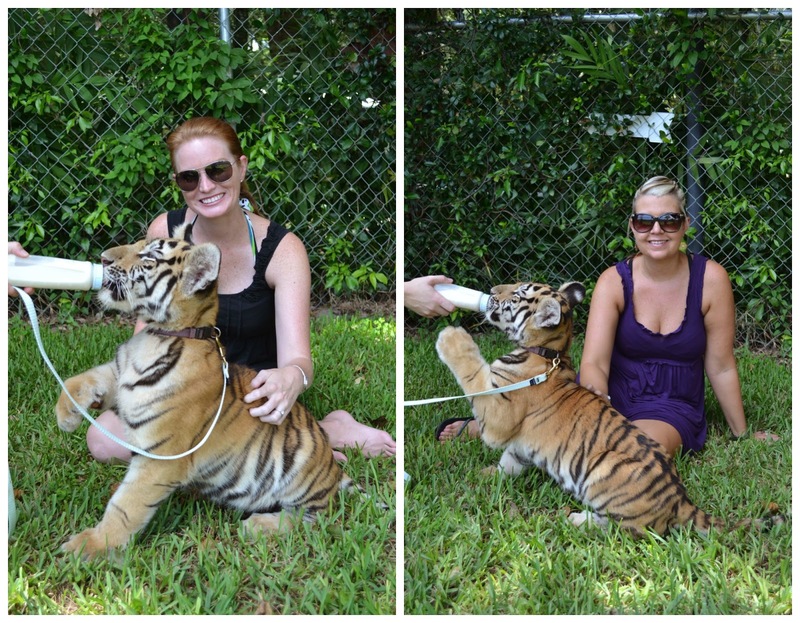 This weekend, my best friend Keri and I had the chance to play and swim with a baby tiger named Tora at Dade City's Wildthings. Dade City's Wild Things (in conjunction with Stearns Zoological Rescue & Rehab Center, Inc.) is a 22-acre zoo located in Dade City, Florida. We arrived at the gift shop and received a token for a trolley ride to the property. From there, we waited for our tiger swim to begin. The reaction I got from family and friends prior to the swim was interesting. The funniest was from My Mom, who was concerned about me being scratched or bit 4 weeks prior to my wedding. Prior to animal interaction, we were told where we could pet Lola (everywhere below her collar). After we fed and played with Tora, it was time for the swim. We received our next set of instructions, to swim behind her so. This was so she wouldn't get confused and swim to us vs. the trainer. Tora weighed 35lbs on the day we swam with her. We were told that we were one of the last people to swim with her, since the state cuts off human interaction with tigers when they reach 40lbs. This was definitely a once in a lifetime experience. I've swam with both dolphins and sea lions multiple times, but swimming with a tiger is something I never imagined doing. The entire time we were with Tora, she chuffed. Chuffing is how tigers say hello and you could tell she was happy. 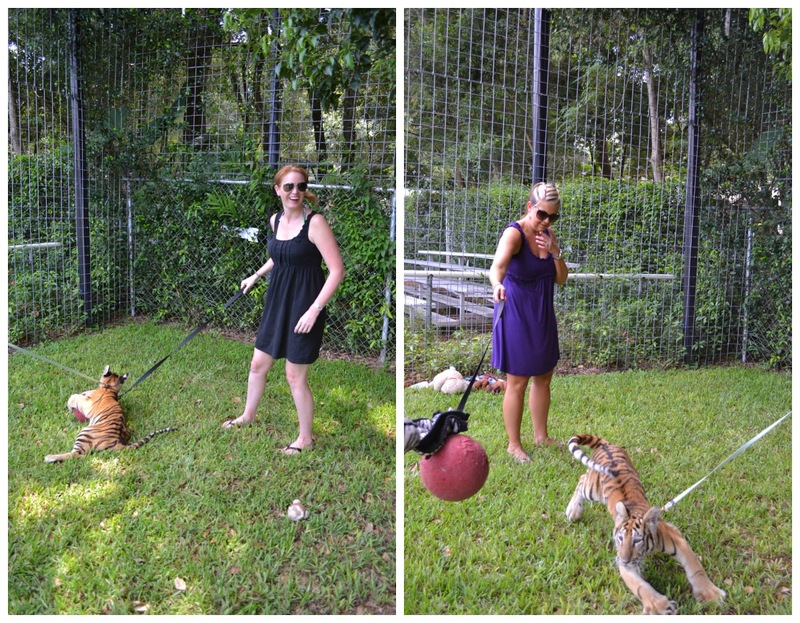 After the tiger swim, we went on a walking tour of the zoo where we met over 200 rescued and adopted animals and the property is located on an ancient sinkhole. There were a few stories on animals who resided at Dade City's Wildthings that captured my heart. There is a Jaguar who was kept in a contained space while growing up and was unable to grow his ligaments properly. 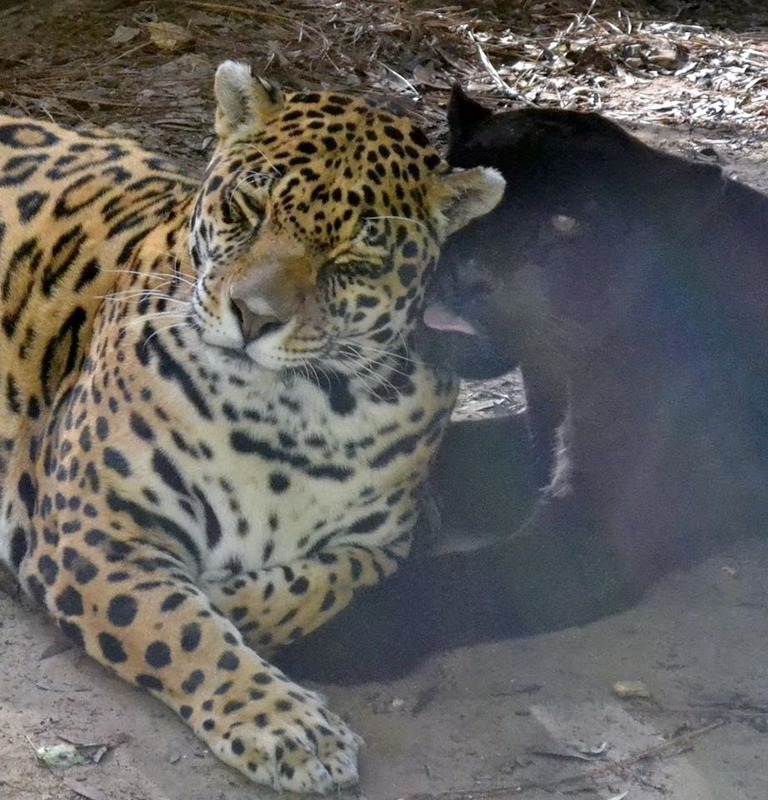 Dade City's Wildthings rescued him and he now has a girlfriend. We also met a Florida Panther who is a cancer survivor. And we met a buck, who I do not have a photo of - who was hit by a car. His jaw shattered and he has neurological damage. This animal had no chance of survival if it weren't for his new family who gave him a safe home. Here is where my heart breaks. Upon going on facebook this morning to get some photos of the animals from the walking tour, I learned that Dade City Wildthings was severely damaged by a storm (2 days after we visited). The brunt of the damage went to Roy's habitat, a 1,000 pound Siberian tiger, who is the largest animal at Dade City's Wild Things. His special fence was damaged - this fence can hold the weight of a 2,000-pound cow. My heart goes out to Dade City Wildthings and they have an emergency relief fund set up for those who can help. 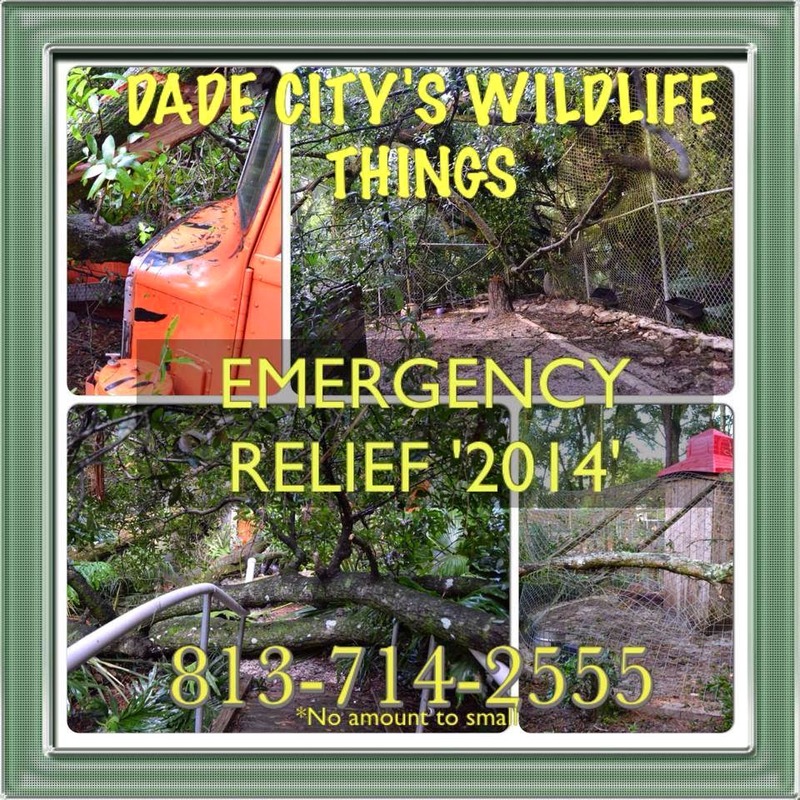 You can learn more about Dade City Wildthings on their website and on Facebook. I can't even deal. This is amazing. Tora is so precious. I want to adopt her...like as my pet...lol. 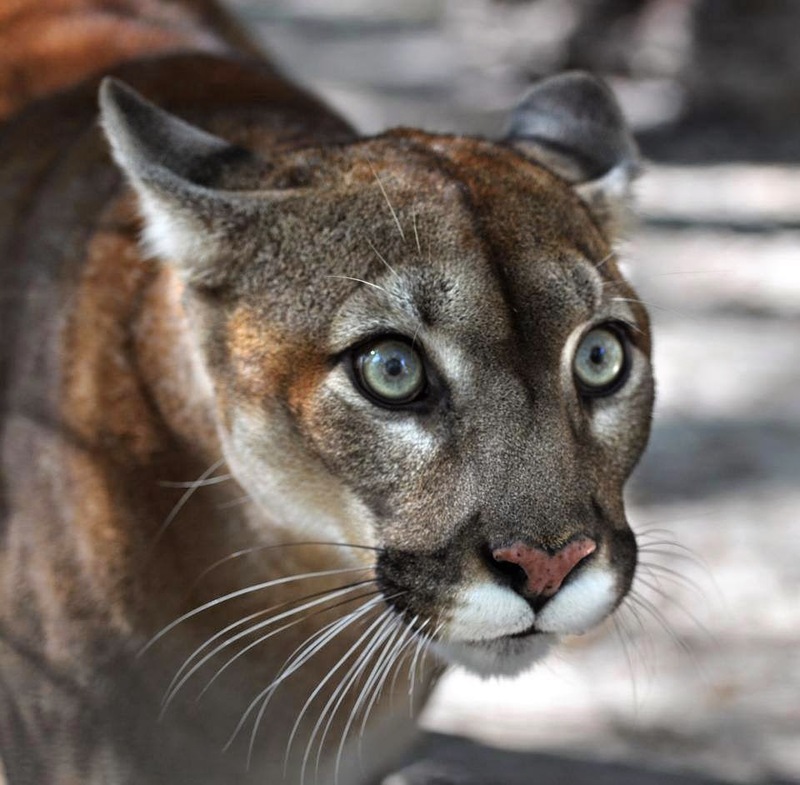 That Florida panther is stunning!! !